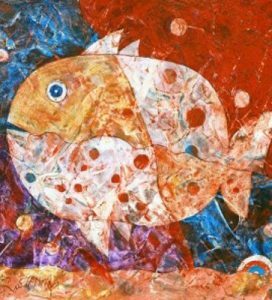 Guttman became a member of the Romanian Association of Painters at the age of twenty-eight. Many of his paintings and lithographs were purchased and displayed at the official exhibitions by the Romanian Government. During this time, Guttman was working as an illustrator, doing artwork for book jackets and movie posters. 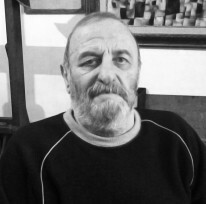 His first one-man show was exhibited at Magheru Gallery in Bucharest in 1963. He traveled to Moscow and Leningrad in 1964 for further studies. In 1966, he won third prize at the International Movie Posters Competition in Moscow for his poster of the German film “Goya.” During the next several years, Guttman participated in group exhibitions throughout Europe. He then traveled to Budapest and Prague for a year of studies in 1968, following that with a trip to Poland in 1969 for additional studies. With the loosening of the “iron curtain” in Europe, Guttman was able to immigrate to Israel in 1974. 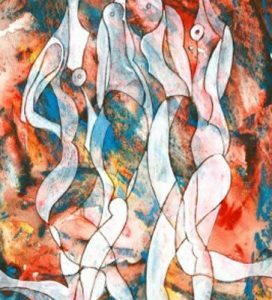 Guttman’s work has been described by critics as having a “celestial cleanness and finesse, reminding one of classical icons.” The three most important subjects of his artwork are women, dancers and buildings. 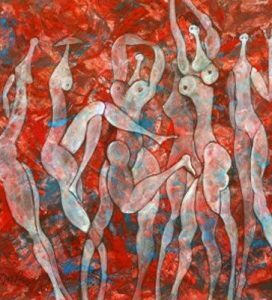 His women represent life and tenderness and his dancers and buildings both of which are usually floating, serve to remind the viewer of the security of freedom, life and love. For many years he was extremely active putting on one-man shows throughout Europe, Israel and North America. 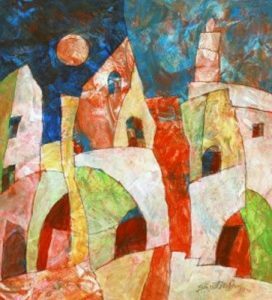 Today Harry Guttman resides in a suburb of Tel Aviv and still paints every day.